Born in Piraeus, Greece in 1956. Graduated from Drama School in 1977. First appearance on stage with Free Theatre Company in 1977. 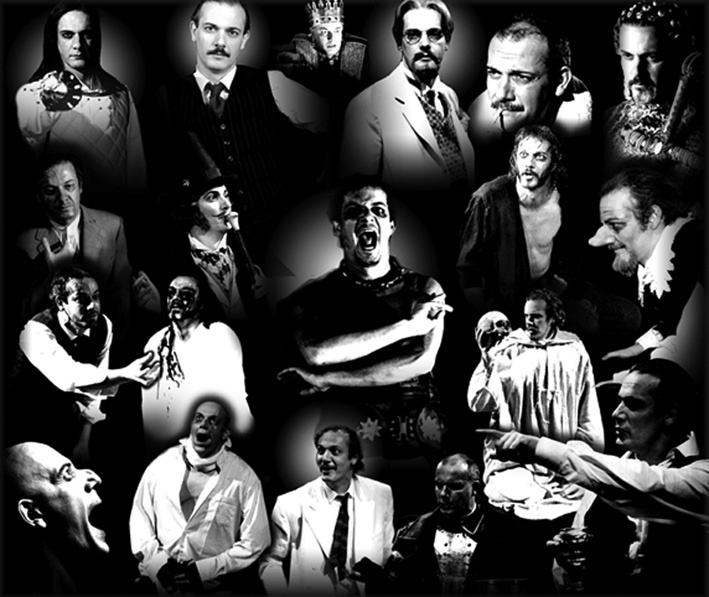 In 1986 he established his own theatre company, the Contemporary Theatre of Athens. In 1996 he founded a Drama School, which operated under the supervision of the Hellenic Ministry of Culture. In 1998 he was artistic director of the Patras Municipal and Regional Theatre. and is a member of the Greek Playwrights' Guild and the Museum and Study Centre of the Greek Theatre. Naked, L.Pirandello (Laspiga), TV play. Five Fingers Exercise, P.Shaffer (Clive), TV play. La Ronde, A. Schnitzler (Young gentleman), TV play. Hysteria, Y. Skourtis (Man), TV play. and the National Award of Best Actor in Cinema for the film LIVING DANGEROUSLY directed by N. Perakis in 1987. In 1988 he won the Critics' Award of Best Actor in Theatre for the play POOR MURDERER by P. Kohout & L. Andreyev. In 1999 he won the First award of Best Actor in theatre for the period 1996-1998. In 2010 he has been honored with Audience Choice Award for the play SLEUTH. Simply Complicated (Einfach kompliziert) by Thomas Bernhard, The interview by Theo Van Gogh & Theodor Holman. This site is under construction but will be up very soon !